Back before the wars—it was the 1990s—I was part of a great team of Army communications soldiers working in an Iowa National Guard engineer unit. We had a crusty section sergeant who had come up through the field artillery, who made us watch "MASH" (1970) as an annual training film. The team also liked to listen to NASCAR races on the radio, and to call up absent team members to play "what's that smell?" A good sense of humor will get you through a lot; a shared appreciation of absurdity will get you through even more. So I was surprised when I asked Sgt. Mike his opinion of "Three Kings" (1999), a favorite movie of mine. Set during the Gulf War, it's an eclectic mix between a war and bank heist movie—sort of an updated "Kelly's Heroes" (1970). Mike had been in Iraq, after he'd enlisted into the active-duty Army. I figured "Three Kings" was right up his A-frame. I was wrong. "Stupid movie," he said. "It made us all look like a bunch of fools." Last summer, I had a similar experience when I posted via social media the official teaser to the TV series "Enlisted." I'd been hungry for a new ration of military comedy, and I thought it looked promising. Many of my Army buddies and Facebook friends, however, took it personally. They hated it with a passion like Thermite. That's when I realized that, when less than 1 percent of a society's population serves in the military, the whole thing regarding the difference between "laughing with" and "laughing at" takes on orders of magnitude. Enter the Sgt. Mike Test: "If you're not laughing with us, you're laughing against us." The Fox TV Network sitcom "Enlisted" debuts this Fri, Jan. 10, at 9:30 p.m. EST/8:30 p.m. CST. If things like lack of proper haircuts, headgear, uniform, and military bearing drive you the bad kind of crazy, you probably won't get past the pilot. And that's too bad, because some of its producers are pursuing surprisingly noble purposes, as well as few laughs. I don't believe you can do a show about the military in 2014 and not deal with things like PTSD or losing a loved one. We have to write about those things, they have to be part of this world. Both because it's the right thing to do, and because its my duty to be respectful to the men and women who do this job. I'm embarrassed we got some technical stuff wrong in the pilot, but I think you'll see we course-corrected and got squared away very quickly. The official website for the "Enlisted" TV show is here. A Facebook page for the TV show is here. The original teaser trailer is posted below, and at this YouTube link. 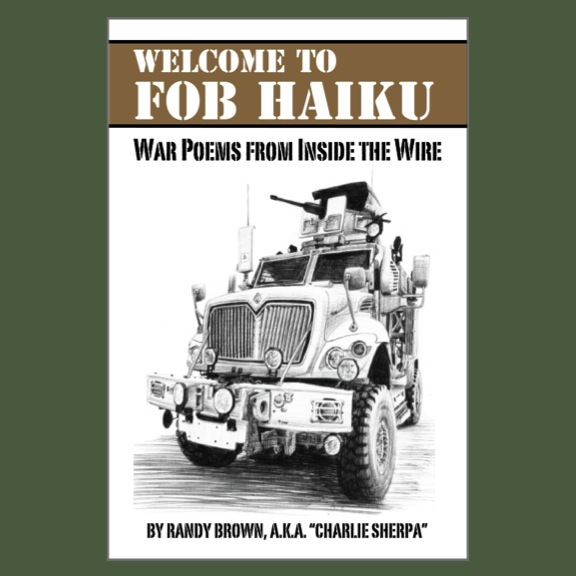 The story follows three biological brothers assigned to the same rear-detachment unit, the fictional 18th Infantry Division at the equally fictional Fort McGee (aka "Fort McGeezer"), Fla. Infantry soldier Pete Hill (Geoff Stults) got kicked to the rear after punching a TOC-roach field-grade in the face while downrange in Afghanistan. 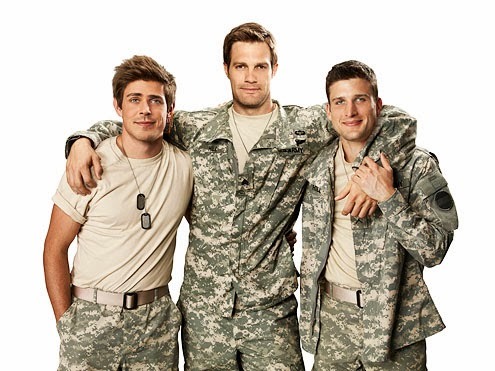 Snarky middle-brother Derrick Hill (Chris Lowell) joined the Army just to look out for the youngest of the three, the energetic but often wildly inaccurate and inappropriate Randy Hill (Parker Young). The plot of the pilot feels similar to those of "Stripes" (1981) or "Major Payne" (1995): A ragtag group of nerds, ne'er-do-wells, and screw-ups decides to play by its own rules to disrupt an antagonist's prized war games. There's a shaggy-dog-story twist, but it's probably still not enough to make up for the behavioral problems, technical errors, and uniform infractions breezily depicted in the pilot. Seriously, we're not talking about missing Reflective Safety Belts. We're talking about soldiers walking around in public with blouses unzipped and no headgear in sight. While waiting to greet their soldier brother, back from Afghanistan. They look like fools, and not in a funny way. The pilot decidedly does NOT pass the Sgt. Mike Test. After the pilot, however, the producers apparently brought in some consultants. Episodes 2 and 3 show improvements, although it's still not quite "squared away." Better to say that it's moved slightly beyond the "crawl" stage of the familiar "crawl, walk, and run." By Episode 4, it might have begun limping its way to greatness. Every storytelling exercise is a negotiation, between what works to entertain and inform, and what just gets in the way. Packing a narrative into a TV show or movie (I'm looking at you, "Lone Survivor") is like packing a rucksack: Some things are going to be left behind. Bottom line: Soldiers and veterans are more likely to enjoy early episodes of "Enlisted," but only if they squint past some of the storytelling. For example, Episode 2 ("Randy Get Your Gun," airing Jan. 17) tells a funny story about how middle-sibling Derrick must convince his younger brother not to imagine those paper targets as real people, in order that Randy might pass his annual rifle qualification. To get to the punchline, however, viewers will have to get past seeing a zero range that's run more like a carnival game: Unlimited ammunition! No safeties! Veterans will also likely recognize the barracks hijinks of their youths in Episode 3 ("Prank War," airing Jan. 24). To do so, however, they'll have to mentally replace the idea of a unit guidon—a foreign concept to TV-watching civilians—with a particularly embarrassing "platoon flag" designed by Randy Hill. These MIGHT pass the Sgt. Mike Test—IF he was to be convinced that the shows' intended comedic target was "Stupid Stuff that Soldiers Do," rather than "Stupid, Stupid Soldiers." Episode 4 ("Pete's Airstream," February date TBD) finally takes a shot at the higher stakes mentioned in Biegel's press release. Oldest brother Pete Hill suddenly seeks solitude by living in a trailer off-post. 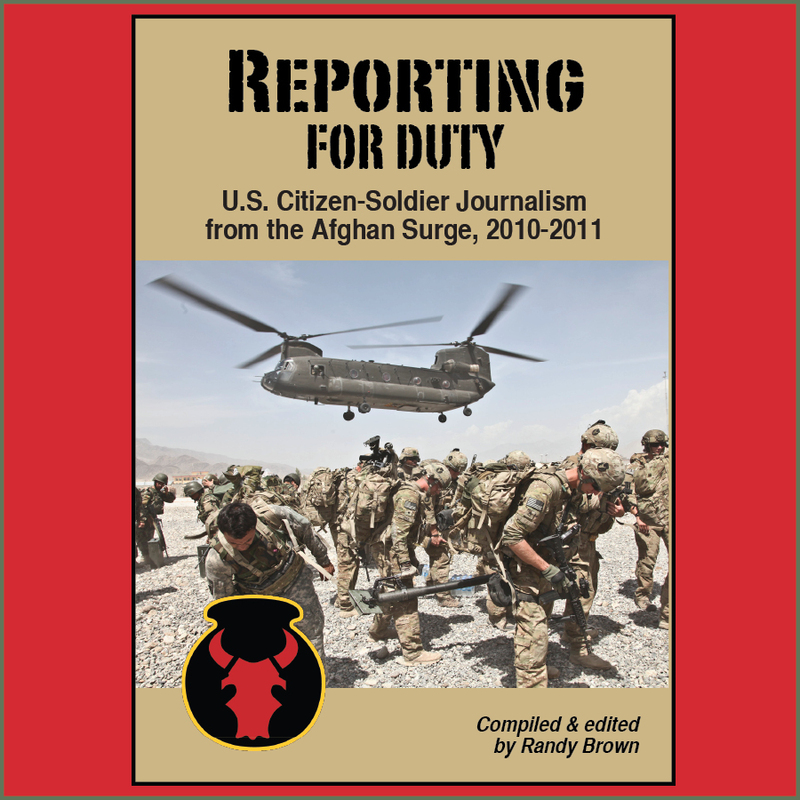 While the urge doesn't feel completely earned—there is a suggestion-without-explanation that he is suffering from PTSD—the platoon's eventual response is sweet, appropriate, and right on target. The danger, of course, is that dealing so lightly with heavy topics might con the public into thinking that problems like PTSD can go away after 22 minutes of laughs. You know, like some sort of military "Facts of Life" (1979). If "Enlisted" is really in it for the long haul and the good fight, however—and if it's given a chance by veterans, viewers, and network viziers—it could do some real good in the world. It could help fill in some of that civil-military divide. It could help prove, once again, that "humor is a combat multiplier" (No. 26). And THAT would make Sgt. Mike very happy. 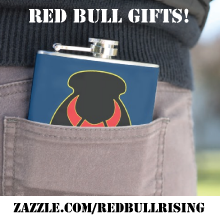 Disclaimer: A preview DVD of four "Enlisted" episodes was provided to the Red Bull Rising blog for review purposes. The original trailer is posted below.